I once mentioned to a friend that I would love to visit Bari. His brows shot up. “No you don’t,” he assured me. He had been to Bari some years earlier, and found it less than enchanting. But it isn’t Bari today that attracts me, as much as Bari’s history. When I mentioned Bari to my friend, I was thinking of the port where thousands of crusaders launched their sea journey to the Holy Land. Nearly 2,000 years ago the Emperor Trajan rerouted the Appian Way to Bari, bringing it to prominence as a Roman port and commercial city. Today it is southern Italy’s second most important city, with a university, two modern harbors, and a metropolitan population of more than a million people. 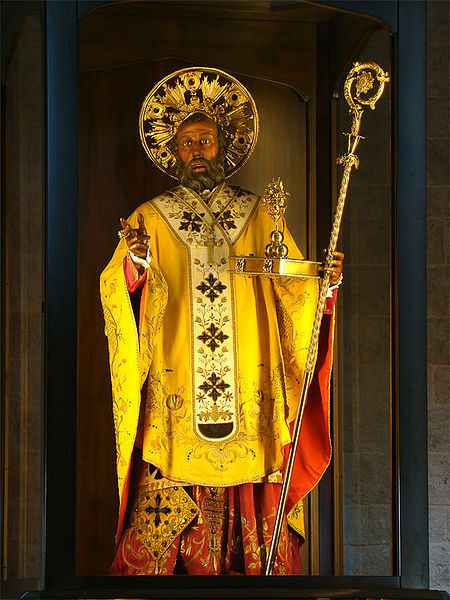 The relics of Saint Nicholas rest in Bari, secreted out of his native city of Myra (part of modern-day Turkey) in 1087 in the midst of an invasion. Accounts of the event vary, but ultimately the saint’s relics were brought to Bari, where a basilica built in his honor is considered by some to be Bari’s most important building, built in the 12th century. A festival held each May celebrates the arrival of the relics. This is the fourth century saint who has morphed over the ages into Santa Claus. Bari’s port also saw a significant slave trade in the early Middle Ages durin Byzantine rule, when slavic captives were sold to the Turks and others in the eastern Mediterranean. About five hundred years of Byzantine rule gave way to Norman rule in the late 11th century. 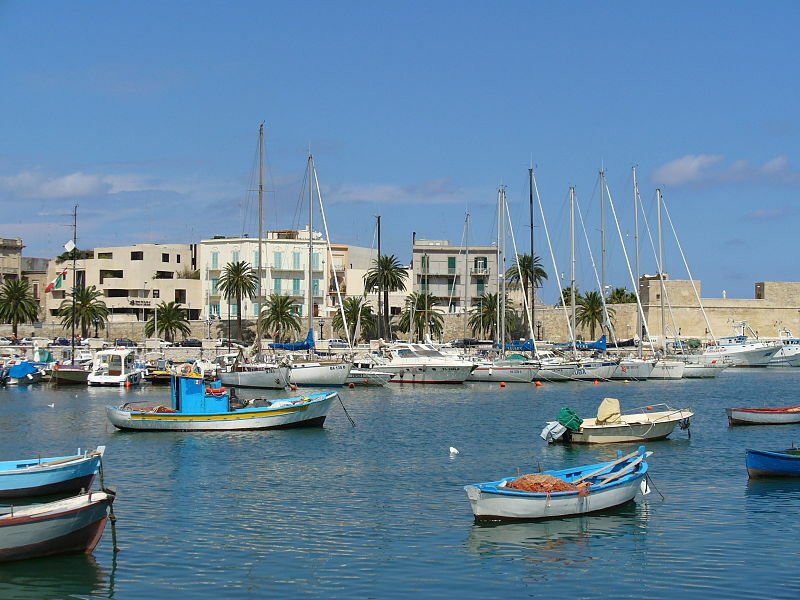 Bari Vecchia, or Old Bari, was for many years a good place to avoid due to rampant petty crime. Perhaps this was my friend’s experience in Bari. But this review on Slow Travel Italy describes the old city in very appealing terms. One day I will go and see for myself! This entry was posted in History, Travel, Uncategorized and tagged Bari, crusades, history, Italy, Saint Nicholas, Santa Claus, slave trade, travel. Bookmark the permalink.